Kali has firm roots in the oral tradition of son jarocho, which she acquired in the fandangos of her native Santiago Tuxtla, Veracruz. This ancestral connection is a guiding force within the group and provides the fabric on which she has embroidered her unmistakable voice. She is at ease singing an impressive range of popular Mexican music and has furthered her expressive vocal abilities by connecting with other Latin American and world music traditions. Her complex rhythmic sensibility is grounded in the mesmerizing dance rhythms and the baroque improvisations of son jarocho. Longing for her tropical birthplace is revealed in evocative lyrics which are also magical incantations. Alec began his musical journey in Mexico, as a child listening to his father play baroque music. While living in Toronto, he studied guitar and improvisation with Brian Katz, and drumming with Trichy Sankaran. Upon returning Mexico in 1995, to focus on his career as a visual artist, he was drawn to son jarocho on a tape of field recordings made in Santiago Tuxtla. His first trip there 12 years ago marked the beginning of an intensive and ongoing apprenticeship with local musicians. Alec’s field recordings and visual arts projects related to son jarocho have been highly acclaimed in Mexico and abroad. He is now exploring the role son jarocho can play in the Canadian context. Mayahuel Tecozautla is an actor, dancer, and choreographer. While growing up in Mexico City she was exposed to the rich diversity of Mexican traditional music and dance, which nurtured her passion for movement, memory, ancestry, tradition, and rhythm. This heritage informs her use of dance as a means of heartfelt communication with others, while her ancestry is the inner force that calls her to dance with body and soul. She is passionate about using diverse art forms and multidisciplinary approaches to creation. Mayahuel has a Major in Performing Arts/Acting from the National Autonomous University of Mexico, and a Master of Arts in Dance from York University in Toronto. The Faces of Son Jarocho combines interviews and portraits using printmaking as a medium. Alec Dempster documents elderly musicians, singers and dancers from the state of Veracruz, Mexico whose lives have all revolved around the music called Son Jarocho. The 30 prints in this book are meticulously created gems which capture the spirit of each person portrayed. 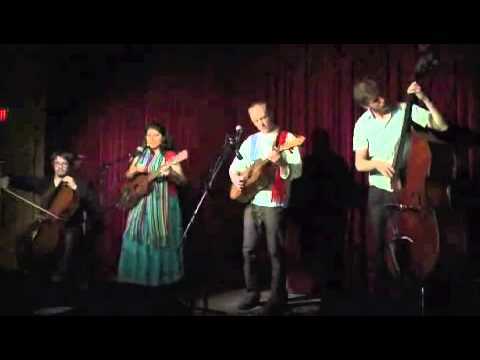 Conceived as a tribute to some of the people who have spent most of their lives playing Son Jarocho and have actively struggled to preserve the traditions of their communities. All of the texts are in both Spanish and English. 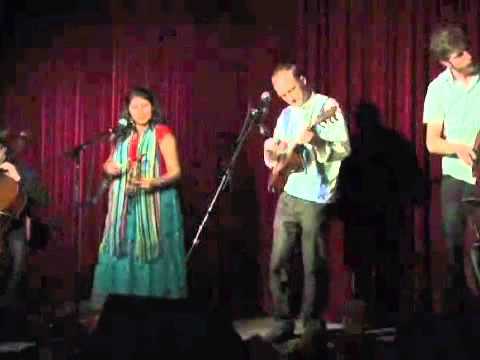 Traditional son jarocho performed by Café Con Pan at Lula Lounge, May 5,2011. Copyright © 2019 Café Con Pan. Restaurant And Cafe by Rara Theme. Powered by WordPress.